“Profiles” are the cornerstone of personality type but to the general public, “profiling” is often seen as a despicable practice. In the US, the recent deaths of young black men at the hands of police officers have once again raised questions about whether unfounded assumptions about them contributed to the tragedies. The typical debate—”Profiling is bad and must stop!” versus “But we’re not profiling!”—has not been particularly productive. Racial and ethnic stereotyping obviously continues despite decades of public condemnation. Maybe the questions we really need to be considering are more along the lines of: What is profiling? How and when does it lead to bad outcomes? How and when can it be used appropriately? We need to acknowledge that profiling—extrapolating from minimal information about others to decide how to interact with them—is hardwired into our psyche. It is automatic and necessary. We are constantly required to respond to people and situations before we have much information about them. And it seems likely that in high-pressure, high-risk situations, the ability to make quick judgments (even if based upon defensive paranoia) has evolutionary advantages. Quickly assessing potential threats is a survival skill. But if profiling is natural and, in many ways, a useful thing, then where exactly does it go awry? The quick assumptions we make about others draw from whatever information we have about them. If we interact with them at length, we can build a profile based on their words, body language, and behavior. I.e., we can guess about the future behavior of an individual based upon the ‘real data’ of observed behavior. But when we have little to go on, we fill in the blanks with generalizations. This is where profiling gets particularly speculative and dangerous, because in the absence of more reliable information, we tend to substitute emotionally charged archetypal abstractions. And the more different from ourselves the person seems, the more likely we are to see them as a threat and interpret their actions in terms of negative archetypal patterns. C. G. Jung and Isabel Myers were profiling when they wrote about psychological types. And when we type professionals make assumptions about a person, based upon minimal information gathered through a personality assessment tool, we are profiling too. Obviously we type-users view personality profiles as a good thing, providing insights that can benefit both the individual and those who interact with him or her. But if we forget, even for a moment, just how tentative and generalized such a profile is, then we risk doing great harm, just as does a police officer who uses lethal force based on questionable assumptions. First impressions are hard to overcome. Even though we realize, if we stop to think about it, that our initial conclusions are wildly speculative, we still tend to see subsequent behaviors as fitting and validating that first “profile.” And if that person feels to us like a potential physical threat, or a psychological threat to who we are or to our view of the world, we tend to continue to see them as the enemy. We can’t help projecting these associations; but we can avoid acting upon them—especially if we’re aware of them. And even though we form these impressions of others, we can, with conscious effort, remain open to the possibility—the likelihood, really—that we’ve got it at least partly wrong. We can use the archetypal generalizations as the sometimes-useful mental tools that they are, while still holding open the psychological space for the process of getting to know the actual person. What have been your experiences with the negative side of profiling? How have you been a victim or perpetrator of erroneous generalizations based on race, ethnicity, type, or other differences? 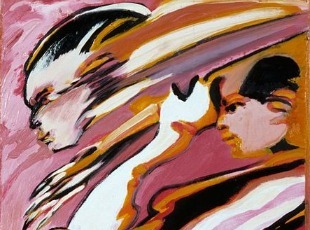 Header Image: Remo Brindisi, Detail from “Tre profili” (“Three Profiles”), circa 1975-1980. Courtesy: Artgate Fondazione Cariplo. Great article Mark. I think you did a marvelous job at pointing out how quickly we are to point fingers at others and accuse them of doing what we do on a constant basis. I really liked that u used specifics examples, which helps me understand how the archetypal role plays out. My wish is that we can have more off such examples, so person as me that has limited exposure to this materials can learn. I do not think I experience it myself in terms of profiling. But I see other MBTI practitioner often having an additive rather then interactive understanding off typing. And relies on this, as its a shortcut. And I think it reflect in their ability to type individuals, and ends up passing there limited knowledge forward. And it feels a bit sad because the non practitioner can end up relying on a limited models for years without really revising there understanding as they are limited to exposure. That is way this page is so important as a MBTI practitioner myself. I can revise my understanding to a greater depth and therefore also share my knowledge likewise. And therefore a person doesn´t go from the session as a box, but a rather knowing how there interactive energi system works in operationalising the function. I have a question for both if you do not mind. Was wondering Mark and Bob, both being perceiving dominant do you guys get energised by the last minute rush or the opposite. It is a classic MBTI question both wanted to know how this applies to introverted type. You have asked a great questions. I enjoy starting early. For example, I spent an hour reading from volume 17 of Jung’s works this morning as I prepare for a workshop I’m doing in July. However, the workshop will not be finalized until I feel the pressure of the delivery date approaching. Also, I have been known to completely change how I’ve planned to do a workshop when I awake with an insight leading me to a new approach. Thankfully these last minute changes have always been successful, but departing from the plan has always sent my anxiety level skyrocketing. I too am very big on methodical, advanced preparation and get nervous if I get down to the wire without a detailed plan. On the other hand, the immediacy of an impending deadline seems to add an element of reality that’s missing further in advance and often stimulates useful last-minute insights. My favorite, and best received, way to prepare for presentations, for example, is to first compile everything I’d like to present, including PowerPoint visuals. Then I pare it down to what will fit in the allotted time and what I think the group is ready to absorb—always a fraction of the original material. But I keep the “extra” material on hand and create an index to it. So when, during the Q & A, people ask about some of those points, I can flip to the slides to help me address them. In other words, I’m better able to respond “spontaneously” if I have prepared ahead of time. It’s not that I couldn’t, in theory, respond as well without the preparation; but the reality is that it helps me counteract that temporary panic that can undermine my clarity. I think a certain spin on this question 999 asks is that someone might prefer a go-with-the-flow attitude, which still goes with introverted perceiving orientation, but *not* in an in-the-moment way. This would be for instance how introverted and extraverted perceiving orientations could look different. Since introverted perceiving carries on much independent of objects, one could say that to avoid having to react to objects, and to let the perceptive process sort of “play out its course” in a go-with-the-flow way, the outside is held at bay, eventualities planned for (through Te for instance), and so forth. Where dominant extraverted judgment may wish to maximize the programmatic output, here for introverts it is there more to minimize corrosion of the inward-flowing energy. This makes it sound negative, but I’m just making the introverted slant very clear and in reality one needn’t in reality have an emotionally negative slant towards the extraverted judgment (although some may). Now, regarding the main article, yes it’s a universal issue: perhaps more generally, when we make decisions, rarely do we have every last bit of information, so we make so-called leaps. It is a delicate skill to be able to make these leaps while maintaining the requisite openness for having to make adjustments constantly. This is one of the main utility of theoretical models, though — the more we treat them as ideas and blueprints, rather than as definite traits of people, the more we can rise above seeing a person’s type as anything more than a generalized pattern/roadmap, and the manner in which their individuality may assemble within this pattern is allowed maximal variance. I also like noting that type models are a little like idealized shapes, like triangles and circles — there’s a certain sense in which we can always see them at work in people, because those are just natural ways to arrange information for our minds (Beebe’s model is based on archetypes, which Jung would’ve said can have a certain universality in belonging to the psyches of all, hence why we may find it natural to see their interplay in type), yet much as shapes in life look infinitely complex and divergent from these pure figures, so do people diverge from any given single model. In advanced imaging and stuff, one may use certain shapes as building blocks, but then allows them to converge and interplay with all sorts of subtlety. Which is why I’ve found it useful to play with different models, not just one, to see how the triangulating lines we draw look different with those, as if we’ve slightly tilted our perspective on the individual. Then I feel less prone to fall into comfortably basking in a set of assumptions, instead viewing a given type description as just tilting the angle slightly. So in my own personal experience, I am more often too reluctant to assume/profile, and stuck playing with theoretical generalizations, than really prone to applying the type models to profile someone, i.e. “she has extraverted sensation in so and so place, thus our interactions are likely to end in so and so”. I guess this is since I naturally have a bit of Jung’s bias from the other article (What Divides Psychology and Typology), and am a little too hesitant to “stick labels” on people at first sight, only to be wrong later. On the other hand, the ideas are so fascinating that it’s tough to stop playing with them. I for one spend a lot trying to understand the differing slants/assumptions of various type constructs. I find some constructs simply describe some people better than others, because there are just so many variables interplaying in type theory, and Jung never said which oppositions get emphasized above others. For instance, when is introverted thinking battling extraverted feeling? When is it just introversion repressing extraversion by itself, not about functions so much as orientations alone? When do Te and Ti fight? From the picture I get from the description above is that, both of your experiences is inline with Myers and Briggs prediction on J. And therefore J description is equally valid for both EJ or IJ. It is interesting to hear both off your ways off handling the external world. This is really important for me to clarify actually. I makes me think that if we were gonna line the types up according to how much information they gather before concluding. I would say ESTJ gather the least, then comes ISTJ that gathers more then ESTJ, but not more than INTP, and ENTP the one gathering the most, in the J and P dichotomy from a Myers and Briggs sense. Is it perhaps best to make everyone a J and everyone a P, which is a common belief, but taking it even further and say that. Bob you are a P when it comes to Si and J when it comes to Te related stuff, and J again when it comes to Fi related incident, and P again when i comes to Ne related stuff. Which is self evident of course because that what J and P points to. But to clarify. In that Bob do you perhaps love digging into details til its all exhausted and don´t really seek closure there, however need closure in external environment in order to inline yourself with where you stand (Te). Further on would not need closure when it comes to people, as it is just u dependent on that (Fi) as being a subjective process. And would not need closure when it comes to the potential of your plans (Ne). I am just making things up, but does it fit with your experience? I say this because as an INTP, I need closure with people and I somehow perhaps explain it back to Fe. And had a INTJ girlfriend, she did´t seem to need this closure,when finishing our relationship, which I explain perhaps with her Fi. In a sense that closure is done in herself, and does not need to carry it out externally as she is the owner for that process being subjective and not towards the object. And therefore not needing closure when it comes to people, but would so when it comes to Te related processes. Therefore we should not ask ourselves whether we are J and P but what are we J and P towards. How does this fit with yours experiences guys? Thus this fit with your experience Mark? Do you need closure with significant others? Or is this a personal business not needing them the person? Thanks again guys you have so much knowledge that would make me seem like a child, therefore I enjoy asking so I can learn from you guys. 999 – just in case it helps, I should say what I wrote represents one possible way an introverted perceiver could approach their need to focus inward in perception. 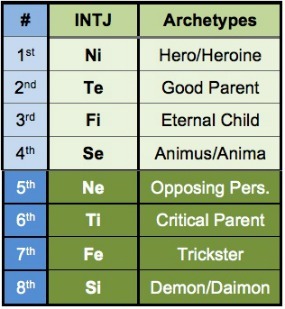 But, in reality, I think at the end of the day I stand more on the side that says a significant number of Jung’s original introverted intuitives were MBTI-P’s (particularly those he described as having an aesthetic orientation), not J’s, because they do not fall into the pattern I described, and their pattern seems to follow much more of a spontaneous orientation. This is because remember, Jung’s types were more clearly defined by *one* function rather than based on a dual pattern. An irrational type tended to avoid judgment of *any kind*, whereas today when we say introverted perceiving, we’re talking of someone who also has judgment significantly developed. If you watch Jung’s interview with Freeman, you can see that at times, this auxiliary function is really overrated in a lot of the types he dealt with — some people are so intuitive that exercising judgment is actually stifling. 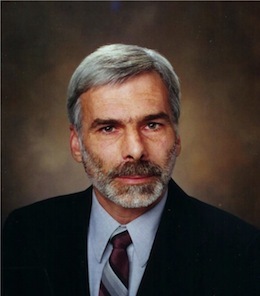 In today’s society a frequent pattern is to develop both perception and judgment out to some degree, as that pattern seems to work for adaptation, which is a huge part of what even causes types to form the way they do (von Franz notes that some primitives will simply not develop a function preference, as their lifestyle calls for a less differentiated model of living). It isn’t merely innate dispositions but also the certain demands of adaptation that tend to cause one-sided differentiation and so forth. This is another useful thing when thinking about profiling — to note that what is innate about a person is their potential, not necessarily the exact empirical patterns they display (in particular, they could’ve turned out differently, had they been shaped by different circumstances). Type works as a relative reference point, or like Jung said, a compass. As clarification, this also goes with the distinction between the Myers-Briggs theoretical underpinning and the Jungian one. Myers thought that you balance going inward with perception with going outward for judgment, aka, these are the ways you deal with the two separate worlds. But introversion/extraversion could also be called merely an interest, i.e. a negative or positive interest in the object. From this standpoint, you don’t need to somehow define a function’s orientation using *what* it deals with so much as through your predominant interest. If that is introversion, then even if you consider outer objects in your thinking (or feeling, or whatever), you always let subjective factors be the determining and decisive ones. This is probably why from one point of view adopted by various classical Jung followers, all conscious functions take on one single attitude — if inner and outer refer more to what is energetically natural than to the substance you are dealing with. As Jung emphasized, it’s absurd to talk of pure introverts or pure extraverts, so even if someone prefers introverted functioning entirely, we’re not meaning they have no connection to the outside, merely that you deal with the outside, but always let inner claims prevail at the decisive stages. An example of someone Jung thought was basically all introverted functioning, besides the repressed, unconscious functions, it seems is Nietzsche (introverted intuition + introverted thinking). To “ptypes:” You make a very important point when you say that a key to “maintaining the requisite openness for having to make adjustments constantly” is to keep in mind that as a theoretical model, the psychological types are just “ideas and blueprints, rather than definite traits of people;” and that every individual is a unique, extemporaneous expression or their blueprint. I would add that Jung made it clear (and Beebe frequently reminds us) that we’re not even talking about types of people at all; but rather, types of consciousness which individual people can manifest. And although we have patterns of preference for certain types of consciousness, we all slip into other modes as well. I’ve tried to reply to your questions by paragraph. Hopefully this is sufficient. If not please email me directly at bmcalpine@type-resources.com. I would not use one’s type code as an indicator as to how much information one would want. What we observe in others in no way is a complete picture of what is happening with that person. It does not give us a clue as to the person’s past experiences or studies. Sometimes I act immediately with almost no current information because it is something I’ve experienced many times before. Observing me would lead someone to believe I acted without any information, but in reality I acted from a wealth of information. I would prefer to say that I’m using a perceiving function when I’m using Si and I’m using a judging function when I’m using Te instead of I’m a J when … and a P when…. This language avoids the labeling that is often used when talking type and does not lead one to think one’s type code changes. Maybe your friend reached closure in a way that you did not recognize as closure, or she reached closure in a way that did not seem like closure to you. To Mark, you actually answered to the question why I was questioning the first place. In that how can a person wanting closure (Te) secondary and be a perceiver dominant. Like u said, seemingly paradox. That is why I keep asking as it doesn´t resonate with me, and my Ti was stuck on this, as it was not coherent in my framework of logic. And that is why I proposed that we all want closure, or task completion, but also opening. I therefore suggested that instead off stopping to the first and secondary function as Myers Briggs did, the third and fourth should also be equally valid. And you said it yourself as a dominant Ni, patterns and meaning is what occupy you the most. But when doing a task, Te closure kicks in, therefore I asked when finishing a significant relationship whether you would need to demonstrate it somehow (Fe) but I suspected perhaps not because of the (Fi), closure would be needed as its a judging function, but not demonstrated as with Fe users. The J or the Te closure comes only kicking in, depending on the quality of the task at hand, and not as a primary mode of operating. And therefore closure vs opening is not dependent solely on the first and second function or versus the external and internal world. But by the quality of the stimuli the consciousness needs to digest. So Te kicks only in when it comes to tasks, or planning. But not otherwise. To Mark — yes, definitely that was what I was aiming to get at! It’s so important to remember that we have different types of consciousness in us, and that, like you say, we simply “enact” certain ones. And it is also crucial to always keep in mind, in my experience, that the preferences are relative. One introverted feeling dominant may go on to develop extraverted thinking well beyond another extraverted thinking dominant. That’s life – these preferences simply exist relative to our own psyche. In other words, said introverted feeling dominant may actually have introverted feeling defining the main aims of the psyche (or to put it in Jung’s words, have the greatest motive power in consciousness); however, to what extent and how extraverted thinking becomes relevant must depend on that psyche. Now, in these cases, one could still say thinking isn’t “truly” developed, in that it is still allowed only in so much as it is in service of feeling. But this is true in psychological terms – in practice, the usual signs of an exceptional thinking function, to the extent such things have an objective meaning, may be clear. I like to give the example of the Freeman interview, where there is the intensely intuitive woman with a snake in her abdomen, reportedly (a collective symbol). She is said to have thinking as an auxiliary. Who doesn’t know of dominant introverted feelers who probably differentiated thinking much, much, much more than she did (because she was so intuitive that you had to work to get at judgment — let alone sensation, which was totally out of the question)? I think this sort of thing really shows one why the type is an abstract blueprint rather than something you can use to empirically guess what someone will be like. It also illustrates how we need to understand the concepts behind the models, as e.g. I doubt that intuitive woman qualified as an INTJ — because I don’t think she necessarily differentiated extraverted thinking, and the assumption of an intuitive introvert being a J is based on a developed extraverted judging function after all (which doesn’t necessarily happen).